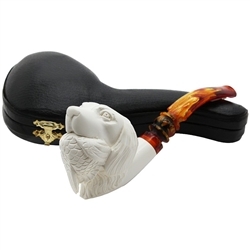 Deluxe Hand Carved Hunting Bird Dog Meerschaum Pipe - Deep bowl pipe has a solid feel in the hand. 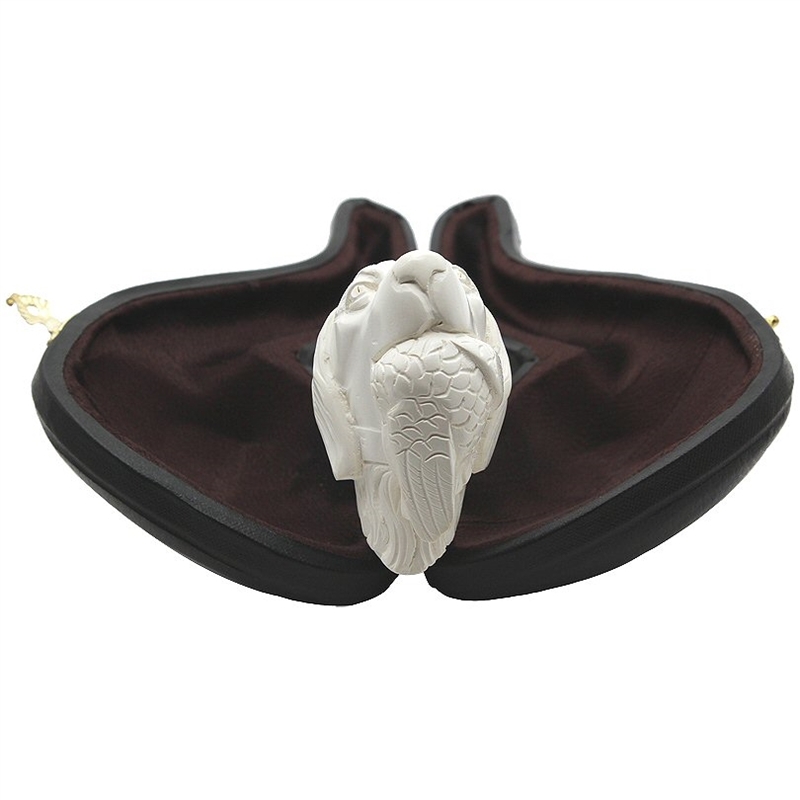 The hunting dog has carved floppy ears and proudly looks up with his puppy dog eyes. The rich colored designer scrolled stem adds a touch of beauty. 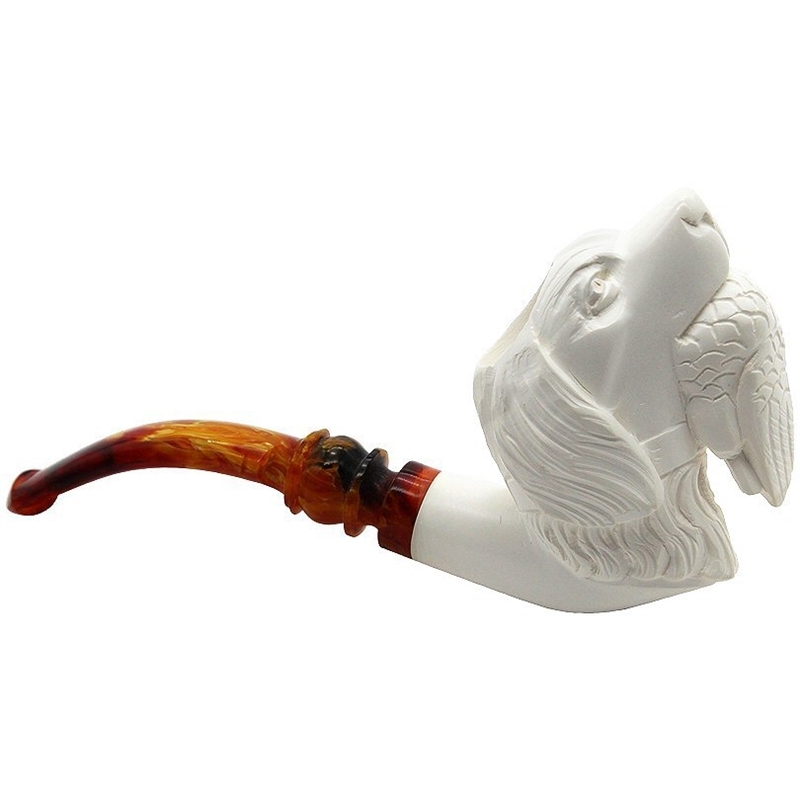 A great smoking pipe and a great collectible for the dog loving pipe smoker.